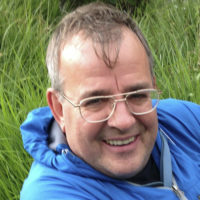 Paul Besley, author of the Dark Peak walks guidebook, enjoyed his book launch. Although we suspect it was just a good opportunity for a walk and cake! He tells us about the launch here. Lots of people who ordered my book from my own blog had suggested a book launch so they could collect their book in person. 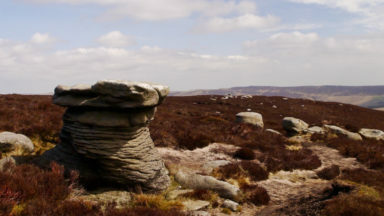 There was only one place to have the launch of a book about walking in the gritstone and peat area of the Peak District National Park known as the Dark Peak, that was on the gritstone and peat moorland that make up this unique landscape. 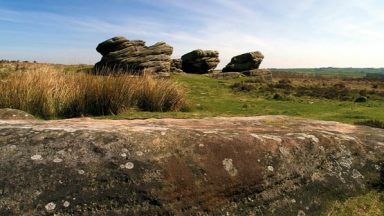 I chose Whinstone Lee Tor as the venue, easy access, good views, and on both a public footpath and a bridleway, so people could bring their dogs and bikes too. 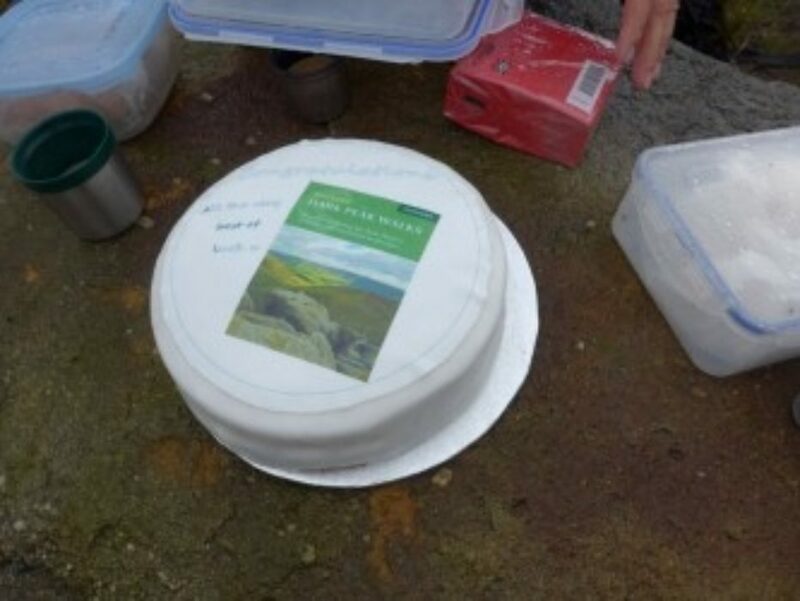 It was quite humbling to see 25 people brave constant rain, quite typical Dark Peak weather, to celebrate the book launch. 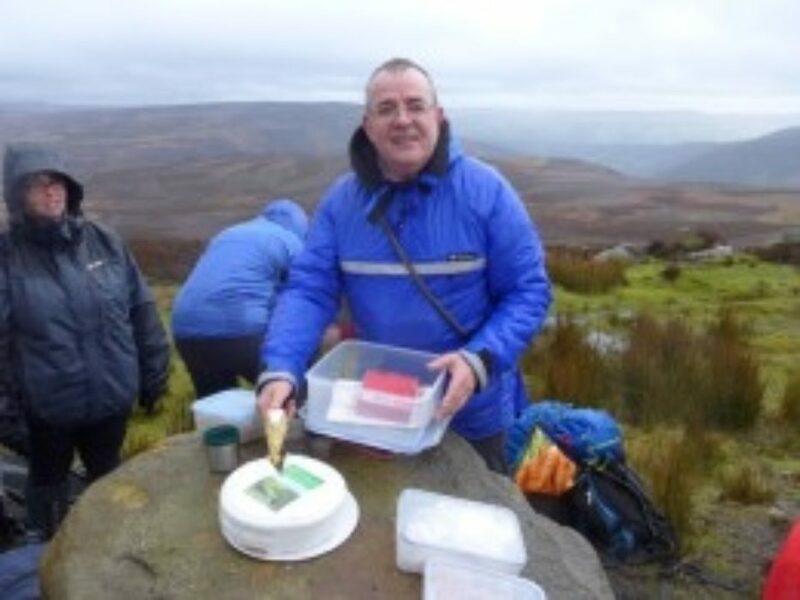 Of course you cannot have a launch without cake, Alison from Wapentac baked flapjack and a very nice Yorkshire Parkin. Plus we had a wonderful surprise where a fan of the book Col Wood of Everyday Adventures had baked a special cake with a picture of the book on it. As we ate cake, drank coffee, talked and got wet I looked around the gathering. We ranged in age from a few months to the late sixties. Some had walked, some had run. 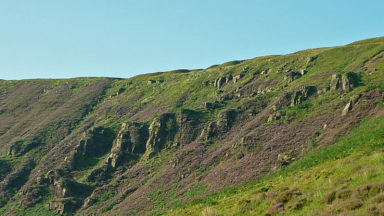 Some people were new to the area, some were old friends of the Dark Peak. 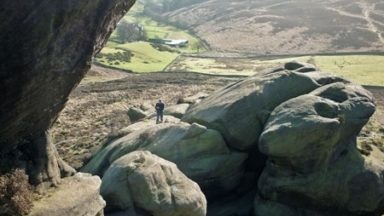 A few local Mountain Rescue teams were represented, Moors For The Future were there, as was the Peak District National Park. 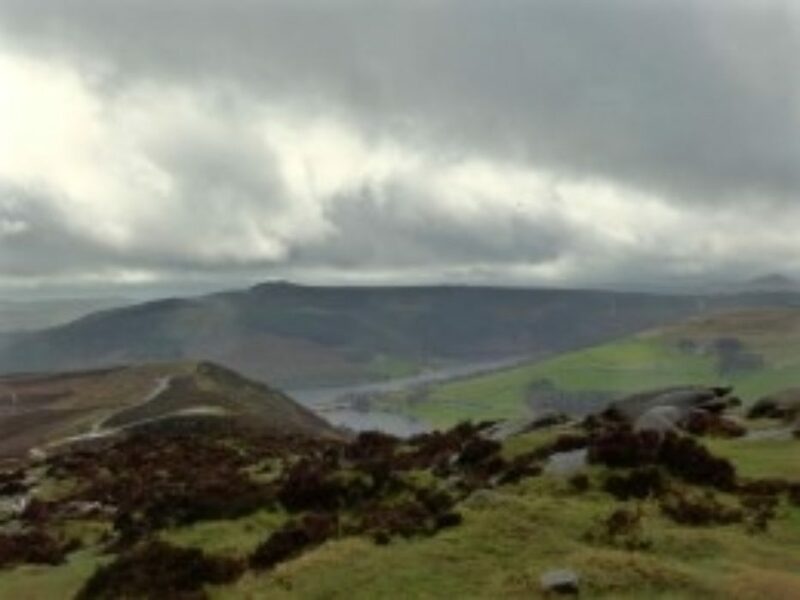 People had travelled from all the major cities and towns that surround the Peak District and that make it one of the most visited national parks in the world. Discoveries were made too. 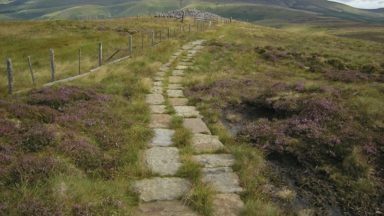 Debra from Moors For The Future had her first sip of Hot Vimto, an old Dark Peak favourite, which proved valuable of that cold rainy day. 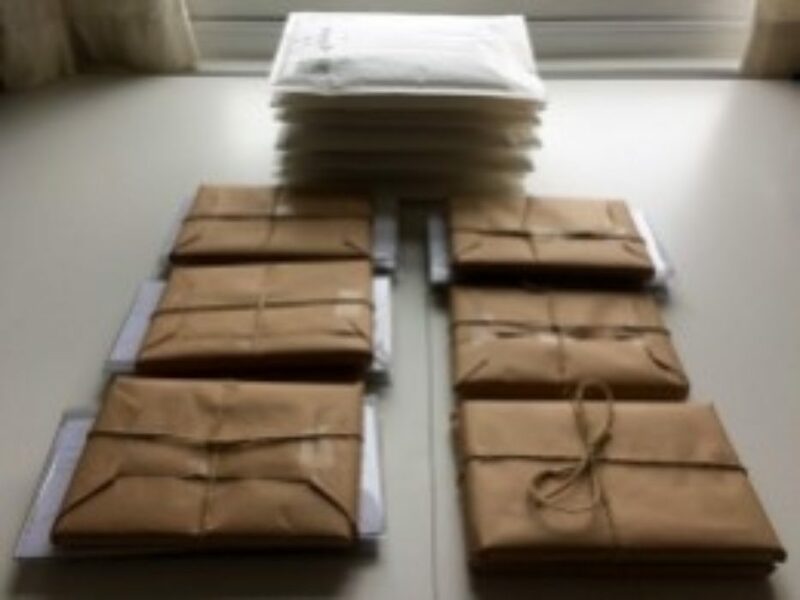 I like to make a nice presentation of the book when people purchase it from me, all that wrapping had me singing My Favourite Things from the Sound of Music. 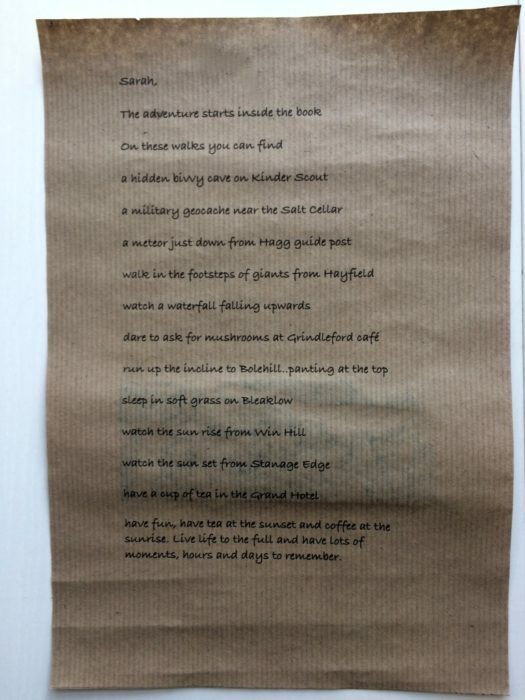 Some lucky people who had bought early also had a gift of a Wapenmap too, so as I handed the parcels out I hummed the little tune, some people even sang along with me. Then it was time to cut the cake and eat. It was a magical day. 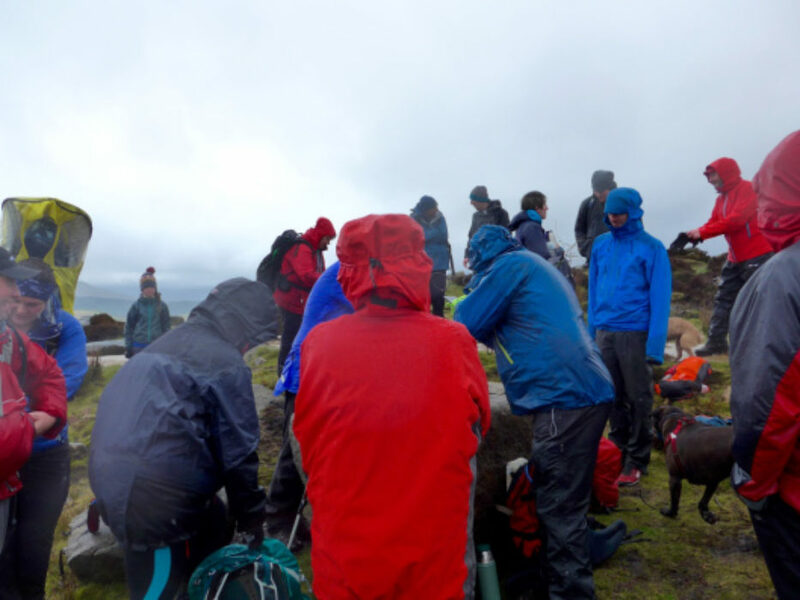 Everyone said how much they had enjoyed it, lots of laughter and talking about days out in the Dark Peak. It has such a great community of people, who love and care for the area deeply. It is wonderful to play a small part in it. 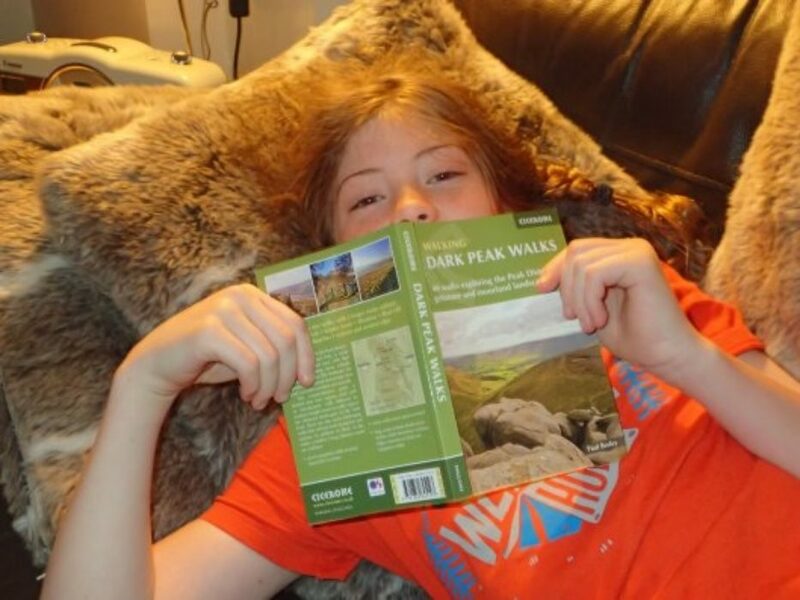 The most marvellous thing though is how young people are discovering the Dark Peak, exploring its delights and having great adventures. 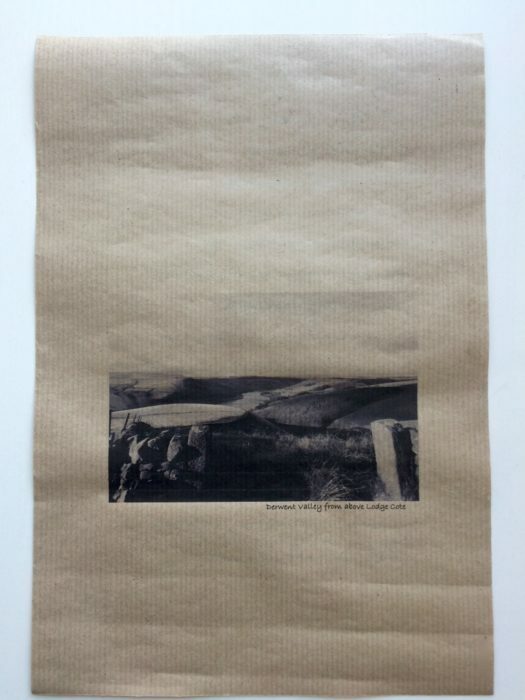 It means the story keeps on developing and that’s what should happen to a landscape.